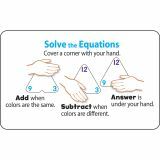 Easy to hold and simple to use. 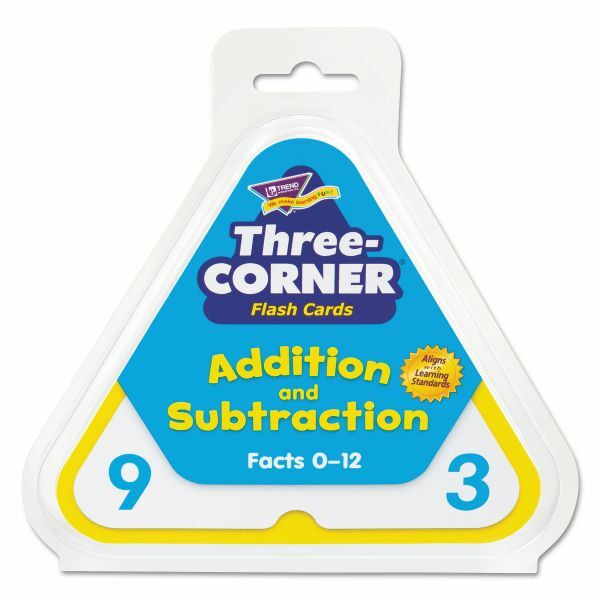 Review facts 1 through 12 quickly. 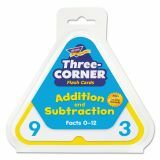 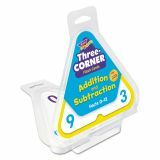 TREND Addition/Subtraction Three-Corner Flash Cards, 6 & Up, 48/Set - Self-checking cards teach addition, subtraction and the relationship between them. 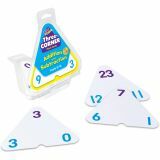 Ideal for groups or individuals at school, home or travel. 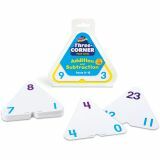 Set includes 48 two-sided, 5-1/2 triangular cards that focus on numbers through 12 and a sturdy storage box. 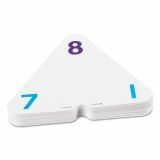 Durable, easy-to-hold cards are designed for teaching students ages 6 to up.